A central bank, according to a basic Google search, is: “a national bank that provides financial and banking services for its country’s government and commercial banking system, as well as implementing the government’s monetary policy and issuing currency”. The United States’ central bank is called the Federal Reserve, nicknamed “The Fed”. What is the history of the Federal Reserve? How and why was it created? What does it have the power to do? What about the Treasury Department and the U.S. Mint? Does it influence gold prices? Who controls and oversees it? Your basic questions are answered below. What is the history of the Federal Reserve? How and why was it created? 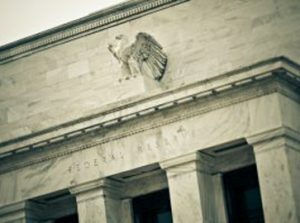 Before the Fed there were three attempts at a central bank in the United States: the Bank of North America, the First Bank of the United States, and the Second Bank of the United States. The Founding Fathers disagreed on the idea of the U.S. having a central bank. Those of them who were anti-federalists – favoring power for the states over central government control – were against the formation of a central bank. Thomas Jefferson was the most vocal member of this camp. Those who were federalists – favoring central government control over power for the states – supported the idea of a central bank, namely Alexander Hamilton, who would later go on to establish the U.S. Mint. The anti-federalists mainly opposed a central bank because when the United States was a set of 13 colonies, England tried to put them under the monetary control of the Bank of England, which was seen as part of the oppression by the British. Hamilton and the federalists saw the need for a central bank to manage the government’s money and regulate the nation’s credit. After the National Banking Act of 1863, national (central) banks and state banks fell in and out of favor. Two problems remained before the establishment of the Fed: currency had to be backed up with treasuries which fluctuated in value too much, and overly high liquidity demands led to bank runs – when bank customers quickly withdraw their funds in fear that the bank will fail. This led to the Panic of 1907. The Panic of 1907 alarmed bankers and a lot of them grew the opinion that the United States needed a central bank to control credit resources and prevent such crises. They worried about large financiers such as JP Morgan taking over, but also felt the banking system was too scattered, decentralized, and in need of central control. Several Congressional bills drafting a plan for a central bank came about, and President Woodrow Wilson eventually chose one of them. After much debate and many amendments, in 1913 Congress passed the Federal Reserve Act, also referred to as the Glass-Owen Act. Wilson officially signed it into law on December 23, 1913. What about the Treasury Department and the U.S. Mint? Are those separate? The United States Treasury Department manages government revenue. It is a separate entity from the Fed. It collects federal taxes through the Internal Revenue Service (IRS). It also mints all paper currency and coins in circulation in the country through the Bureau of Engraving and Printing and the U.S. Mint. The United States Mint is under the Treasury Department. Does the Fed have an influence on gold prices? The Fed is independent of the gold market and has no direct control over it, but it may implement monetary policy measures that affect inflation levels, the strength of the dollar, the total money supply, etc. Each of these factors can have an effect on on the gold price, so gold bugs often watch the Fed and its potential moves very closely. The Federal Reserve holds a monthly meeting in which they make monetary policy decisions and prepare a statement for the public. In the days leading up to the meeting, speculators make trading decisions in anticipation of what they believe the Fed may do or say. After the meeting is held and the Fed has announced its decisions, speculators respond again in the market accordingly. Who controls and oversees the Federal Reserve? The Fed is broken up into multiple agencies, committees, councils, and regional banks. The Federal Reserve Board of Governors, which includes the offices of Chair and Vice Chair, is a federal agency that makes the Fed’s monetary policy decisions. Each Governor is appointed by the current President of the U.S. and confirmed by the Senate. They serve 14-year terms which are staggered. The current Chair is Janet Yellen, whose term ends in 2018, and the Vice Chair is Stanley Fischer, whose term ends in 2020. Currently there are 12 regional Federal Reserve Banks. Commercial banks and state chartered banks meeting certain requirements can be members of the Fed. All national banks must be members. There is much public debate over whether the Fed should be audited the way private enterprises are. Currently the Board of Governors, the regional Fed banks, and all other member banks are regularly audited by the Government Accountability Office (GAO) and a chosen outside auditor. However, the GAO audits do not cover all of the Fed’s actions. Over the years there have been bills, changes in information made public, and even lawsuits focused on the auditing of the Fed. Ron Paul and the Libertarian Party are proponents of strictly auditing the Fed. It remains a contentious political issue.